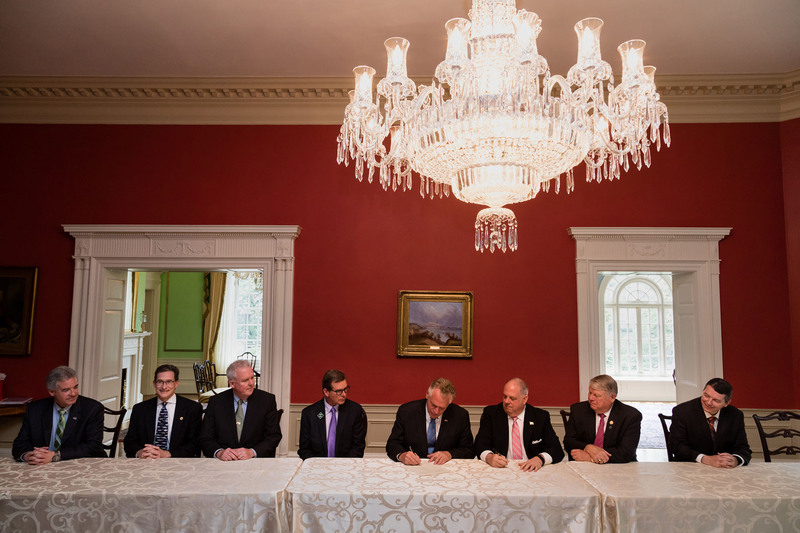 The Chesapeake Executive Council—consisting of the governors of the six watershed states, the mayor of the District of Columbia, the chair of the Chesapeake Bay Commission and the administrator of the U.S. Environmental Protection Agency—establishes the policy direction for the restoration and protection of the Chesapeake Bay. The Chesapeake Executive Council was established by the Chesapeake Bay Agreement of 1983. Under the 1987 Chesapeake Bay Agreement, membership changed from cabinet secretaries to the governors of Maryland, Pennsylvania and Virginia; the administrator of the U.S. Environmental Protection Agency; the mayor of the District of Columbia; and the chair of the Chesapeake Bay Commission, a legislative body serving Maryland, Pennsylvania, and Virginia. Chesapeake 2000 marked the official inclusion of the Bay’s “headwater states”—Delaware, New York and West Virginia—in the Bay Program’s restoration efforts. The governors of New York and Delaware committed to the agreement's water quality goals through a memorandum of understanding signed in 2000. The governor of West Virginia added his signature in 2002. Establishes the policy direction for the restoration and protection of the Bay and its living resources. Exerts leadership to marshall public support for the Bay effort. Signs directives, agreements and amendments that set goals and guide policy for Bay restoration. Is accountable to the public for progress made under the Bay agreements. The Executive Council meets annually. Its Principals' Staff Committee meets as needed to facilitate communication among the Implementation Committee, the advisory committees (Citizens Advisory Committee, Local Government Advisory Committee and the Scientific and Technical Advisory Committee) and the Executive Council.